Who is Max Cooper and Why is he Challenging Me? Max Cooper left behind a wonderful legacy when he passed about a year ago. He was not only the co-founder of Ronald McDonald House Charities of Alabama, but a local McDonald’s owner/operator and a community leader. Max worked up until his death at 99 years old and was always making sure he knew what RMHCA needed most. Max always wanted the best for RMHCA and that is why he left behind a challenge. For each dollar YOU donate, he will match it — dollar for dollar. With hopes to break ground in early 2017, funds are still needed. 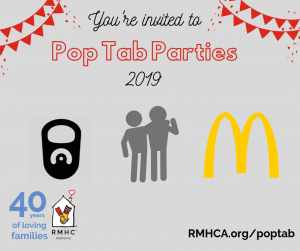 Those who wish to donate toward the Healing Together campaign can contact Kathy Robson, RMHCA’s Director of Development atkathy.robson@rmhca.org or (205) 638-7258. You can also learn more or give online at www.RMHCA.org/expand.